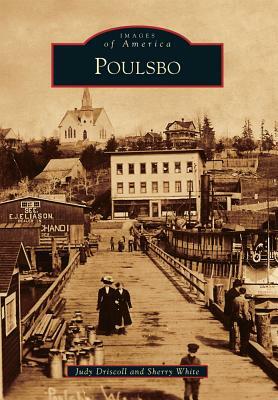 Poulsbo is one of the earliest communities on Washington's Olympic Peninsula. Founded in 1883, it quickly became the destination place for Scandinavian immigrants looking for a fjord-like setting where they could farm, fish, and flourish in a climate more user-friendly than either their homeland or America's Midwest. The village on Liberty Bay is home to the oldest Lutheran church on the Olympic Peninsula. It was also the homeport for the Pacific Coast Codfish Company, at one time the largest codfish supplier on the Pacific coast. While motorized fishing boats and pleasure craft of all types have replaced the three-masted schooners of yore, Poulsbo today still cherishes its Scandinavian heritage with Syttende Mai, Midsommarfest, and Julefest. The local bakery put Poulsbo on the map in the 1970s with the development of Poulsbo Bread, now sold worldwide; however, the town's most unique claim remains its name the result of a spelling error.